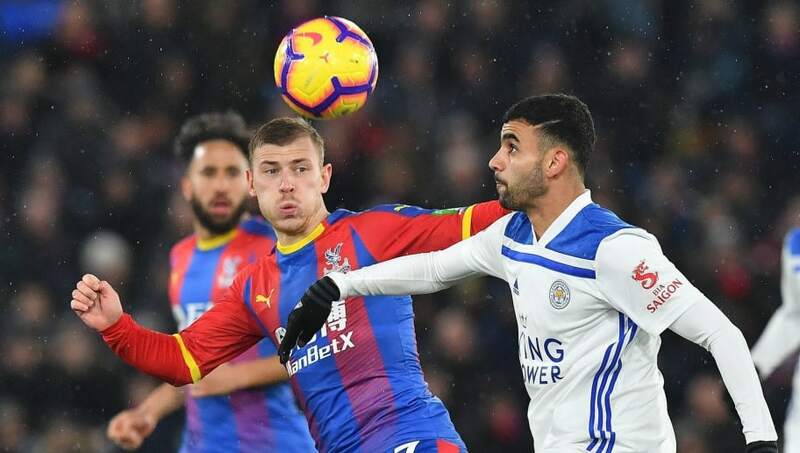 ​​Leicester welcome Crystal Palace to the King Power Stadium this Saturday evening in a vital Premier League clash for both sides. With every passing week, the pressure on Claude Puel appears to grow as his Foxes side are currently amidst some poor form in the league, without a victory since their 1-0 win over Everton on New Year's Day. They have picked up just one point from their previous five games which has seen them slip to 12th in the table - eight points above the dreaded drop zone. Roy Hodgson's side appear to have come through their 'sticky patch', winning three of their last five games in all competitions. However, much of their good form has been on display in the FA Cup, having won just once in the league since January 2nd. ​The Eagles will be desperate to translate their cup form into the ​Premier League, as they currently sit just three points above the bottom three heading into Saturday's must win fixture. Check out 90min's preview for​ the clash below. ​Leicester will be at full strength for Saturday, bar Daniel Amartey who has been ruled out for the season following an horrific ankle injury he suffered back in October. ​Jamie Vardy could be set for a return to the starting lineup after being left out of Puel's side during the 3-1 defeat to ​Tottenham, the 32-year-old hasn't been at his best this season but has still managed a return of eight Premier League goals. New signing Youri Tielemans is expected to start once more after making a huge impression on his debut against Spurs - the Belgian midfielder was a deadline day recruit from Ligue 1 outfit Monaco. Crystal Palace find themselves in a similar position to the Foxes, with everyone available for selection apart from left-back Pape Souare who suffered a shoulder injury last month. James Tomkins has missed the Eagles previous two games with a calf strain, but has since returned to full fitness and is expected to return to the starting XI. Hodgson will be delighted to call on ​Wilfried Zaha once more following the completion of his suspension. Zaha picked up an extra one-game ban for sarcastically applauding referee Andre Marriner during the 1-1 draw with Southampton at the back end of January - that saw him miss the FA Cup win over Doncaster last weekend. ​Leicester ​Schmeichel; Pereira, Maguire, Evans, Chilwell; N'didi, Tielemans, Maddison; Barnes, Vardy, Gray. ​Crystal Palace ​Guaita; Wan-Bissaka, Sakho, Tomkins, Van Aanholt; Milivojevic, Meyer, Schlupp; Townsend, Batshuayi, Zaha. History would suggest there is very little between the two sides, with this being their 71st meeting. Both sides have identical records, 26 wins apiece, with the remaining 18 games ending all square. However, in recent times it is the London side that boast the more impressive form. The Eagles have secured victory in each of their last three meetings with the Foxes, including a 5-0 thumping in April last year - with ​Chelsea loanee ​Ruben Loftus-Cheek amongst the scorers. The Foxes are desperately struggling to pick up results, having lost five of their last six outings in all competitions. However, Puel has endured a tough run of fixtures that included games against ​Man Utd, ​Liverpool and Tottenham, which has certainly contributed to their slide down the Premier League table. Despite their indifferent results, performances of the pitch have warranted much more. They outplayed Spurs for large parts of their trip to Wembley, narrowly lost 1-0 at home to Man Utd and conceded a last second goal when they were beaten 4-3 at ​Wolves. However, it is only results that count at this stage of the season, especially with Puel's job seemingly at stake. Hodgson's side, in contrast, have been picking up results despite not always being at their best. The Eagles have picked up five points from their previous three Premier League fixtures, including a vital 2-0 victory against Claudio Ranieri's ​Fulham at the start of the month. Despite some encouraging form, results around them - most notably Cardiff's recent resurgence - have seen the bottom eight sides become tightly grouped. Just three points separate ​Southampton in 18th to Palace in 13th. The pressure will therefore be on the Eagles to pick up three points this weekend. Here's how each side has performed during their previous five fixtures in all competitions. Expect a nervy and tight affair, especially with the tension currently transmitted around the King Power amidst what is perceived as 'negative tactics' implemented by their French manager. Hodgson's side should look to make a fast start, particularly as Leicester have been slow starters of late - conceding within the opening ten minutes in three of their last four games. However, as mentioned, Leicester having been playing particularly poorly, despite their winless run. Puel will be targeting this fixture for three points after a difficult run of games so this intriguing fixture could truly go either way.